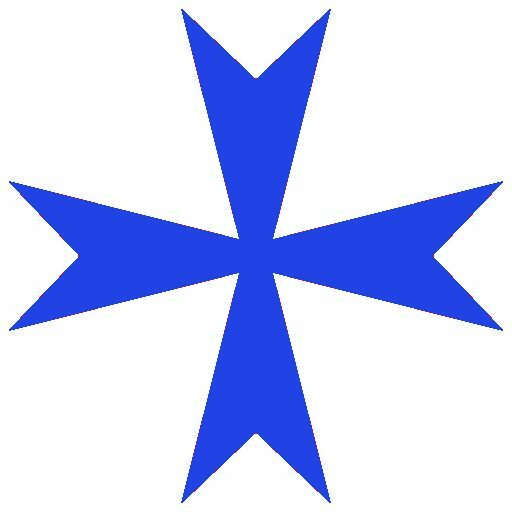 News – Ordo Militaris, Inc. Here you will find recent and past Press Releases regarding the Corporation. Ordo Militaris Inc. is offering the Lepanto Flag again in 2019! Help Support our Order’s Mission to Africa! Dividend Declaration of Nov. 13, 2019 A. D.
Letter to the Members of the Order: October 4, 2018 A. D.
Br. Bugnolo’s Letter inviting the Members of the Order to volunteer to serve in our PMC, Ordo Militaris Inc..
Pastors who would like to introduce their congregation to Ordo Militaris Catholicus by means of inviting one of our speakers to give a presentation about the plight of persecuted Christians, their needs, and the remedy proposed by our Order, are cordially invited to call our offices at 1 (406) 299-9260 to learn more how you can help our mission in this way. Help our defense and security initiative for Persecuted Christians raise the funds to begin operating and receive the gift of this exclusive collectable work of art, printed on canvass, and suitable for framing. If you would like to volunteer to promote the Order, outside the NRA Convention, this year in Dallas, TX: May 3-6, 2018, contact us. This historical reproduction and our own Order’s insignia are each available to our supporters. See here for more information! The government will close the school if it does not have bathrooms. Ordo Militaris Catholicus has been asked, with the permission of Bishop Devotta of Tiruchirappalli, of India, if we can help. Click here to learn more. Hear the stunning testimony of Father Mauro Longhi of Pope John Paul II’s vision of the Islamic Invasion of Europe and the Holy Father’s Declaration that the Church must fight this invasion! Read the Tweets of our International Religious Association Ordo Militaris Catholicus on-line! As of Nov. 21, 2017, you can now read all the tweets of @MilitarisCath, our recruitment, motivation, information, news account on Twitter, even if you are NOT on twitter. Just click the word Archive! To raise the funds to open a physical HQ, we are seeking Donations of $8000 to put an advertisement in a Newspaper in our Nation’s Capital, Washington D.C.. to spread news of the Order and its Holy work in the fastest way possible! Read the Official Notice here, and help us reach our goal! On the Morning of November 1, 2017 A. D., the Board of Directors of Ordo Militaris Inc. has authorized the publication of a Dividend Declaration. This Declaration will appear at this link after 9:30 A.M., Rocky Mountain Time, on the said day. Help the Catholics and Christians of Lebanon! Recent reports have indicated a dire need among the Catholics of El-Kaa, Lebanon. Read more about our attempt to help them! And Join us in helping! If you are interested in promoting the Order, you can do no better than to get a Recruitment Kit. Click this link for more information. March 3, 2017: Ordo Militaris, Inc., the private military corporation, is offering a 12 Week Basic Combat Training Program for those US Citizens or Nationals who have never had BCT. For more information on how to request admission to the program, see here. The course will begin as soon as there are at least 20 recruits who have been accepted.